Lauren's Book Club: August Book Club (free reads! ), plus this week's free, 99-cent, and new book recommendations! Win 40 Historical Romance ebooks + a brand new eReader! All purple words in this newsletter are links you can click! 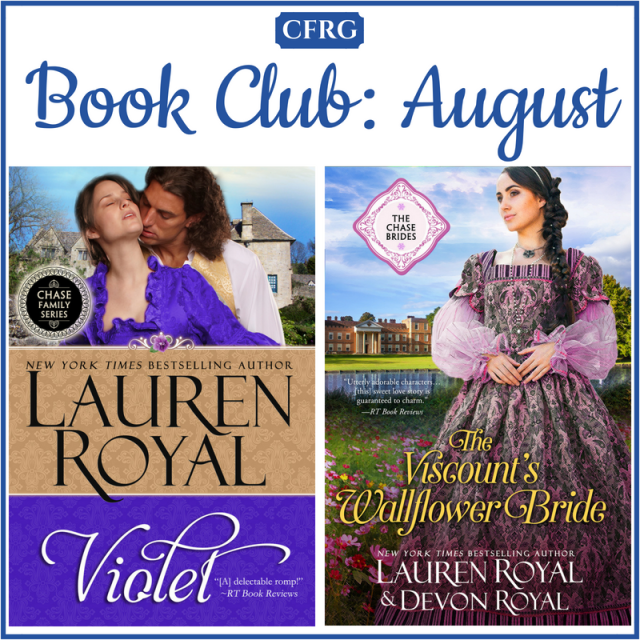 In my Chase Family Readers Group on Facebook, our Book Club romance for the month of August is your choice of my own steamy book VIOLET or its sweet & clean version, THE VISCOUNT’S WALLFLOWER BRIDE, which I wrote with my daughter Devon. Both books are FREE this month only! If you haven’t read either one yet, hit the button below to join my group and grab a FREE copy of whichever book you’d prefer! Take me to the Chase Family Readers Group! 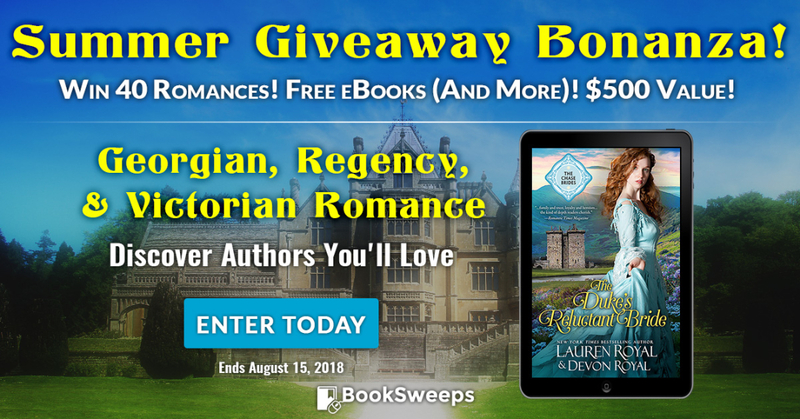 Win 40 fantastic Georgian, Regency, and Victorian Romance ebooks, a brand new eReader + a collection of FREE reads just for entering! Valued at over $500! Click the big purple button below to enter...good luck and enjoy! Take me to the Lords of Summer Sweepstakes! Book Club Picks: Friday Freebie, 99¢ Specials, and a Fab New Romance! Be sure to check the price before you purchase any books. The discounted books are often free or 99 cents for FRIDAY ONLY. All prices are given in USD and may not accurately reflect pricing in other currencies. Also, please "Look Inside" or read a sample before you buy. Some books may not be to your taste. 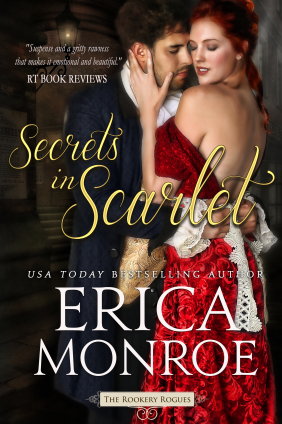 First up this week, a free Victorian romance, SECRETS IN SCARLET by Erica Monroe. A bluestocking with a scandalous past meets a cerebral sergeant, and sparks fly. But when a killer comes after them, they'll have to risk it all to survive in the Spitalfields, London rookery. Regularly $3.99. 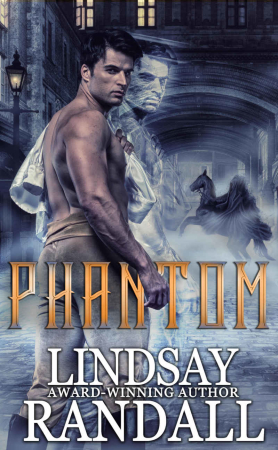 Our first 99¢ book today is a Regency romance, PHANTOM by Lindsay Randall. Betrothed from the cradle and separated by cruel deceit, the beautiful Robyn has never met the man Dax has become—one cursed by a Phantom that dwells within him. Unless Dax fully unleashes his Phantom, Robyn won’t survive. But allowing his darkness to surface will place her in even greater peril…from him. Regularly $2.99. 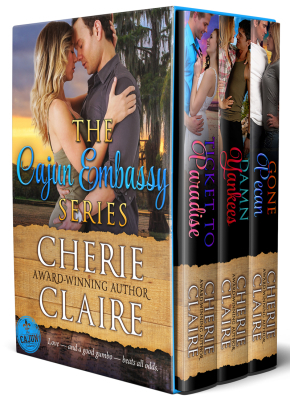 Next, a 99¢ bundle for contemporary romance lovers: THE CAJUN EMBASSY BOXED SET by Cherie Claire, Books 1-3 of her gumbo-lovin' series. These passionate romances feature three Columbia journalism coeds homesick for Louisiana who find comfort in a bowl of Cajun gumbo. In each novel—Ticket to Paradise, Damn Yankees, and Gone Pecan—follow one of these dedicated friends as she makes her way in the world and finds love. Regularly $5.99. 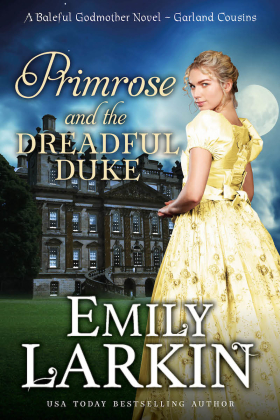 And finally, our Fab New Romance of the week is a Regency, PRIMROSE AND THE DREADFUL DUKE by Emily Larkin, the first in her new Garland Cousins series. Oliver Dasenby is the most infuriating man Primrose Garland has ever known. Eight years in the cavalry hasn’t taught him solemnity, nor has the unexpected inheritance of a dukedom. But if he’s to survive said inheritance, he and Primrose will have to catch a murderer! Priced at $4.99. More Free Books From Me! In this “wonderful read” (Romantic Times), Colin Chase, the Earl of Greystone, finds his carefully planned life turned upside down when the Great Fire of London lands a lowly jeweler's daughter in his arms. 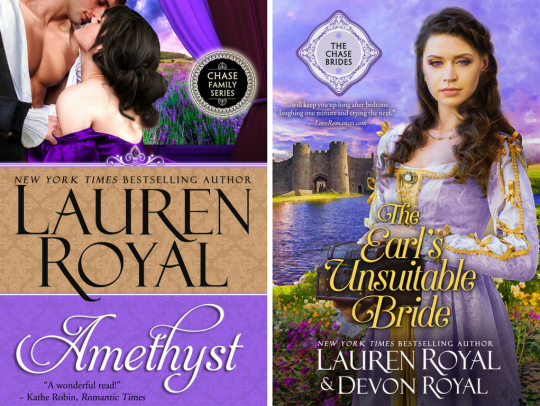 AMETHYST and its clean version THE EARL'S UNSUITABLE BRIDE have nearly 4000 five-star reviews. Regularly $4.99, this week both books are free! The first novel in a “beguiling Regency trilogy” (Booklist), LOST IN TEMPTATION and its clean version ALEXANDRA have more than 2500 five-star reviews. Regularly $4.99, this week both books are free! To welcome new members to our Chase Family Readers Group, my daughter Devon and I are offering a FREE copy of “Chase Family Recipes: A Historical Cookbook,” just for joining our group! And hey, there are plenty of reasons to join besides getting a free historical cookbook. :-) We run a fun monthly book club party, plus you’ll be able to read behind-the-scenes details, ask me questions, and share your thoughts with me and your fellow Chase readers. This private group also gets exclusive previews of my next all-new book! 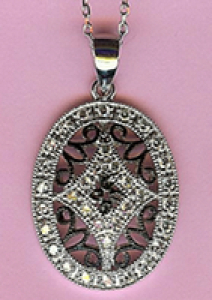 My August contest prize is this sterling silver replica of the pendant that Rand gives Lily in my book LILY. To enter to win the locket, click the purple button below! If you want a chance to win, be sure to enter before the end of the month. The computer will pick a random winner from all the correct answers, and the winner will be announced in this newsletter in September—so be sure to check next month to see if you won. :-) Good luck! 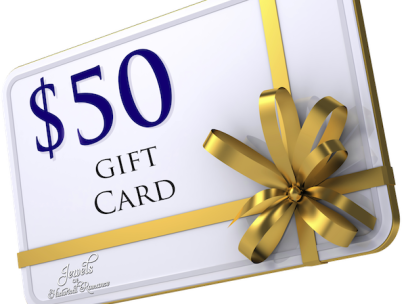 Win a $50 gift card for your favorite ebook store in August's Jewels of Historical Romance contest. 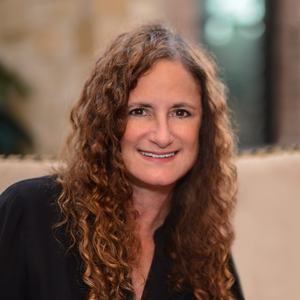 In this month's contest, my Jewel sister Claire Delacroix talks about her favorite thing to do when she's not writing! If you want a chance to win, be sure to enter by the end of the month. The computer will pick a random winner from all entries with correct answers. Good luck! Thank you from the bottom of my heart for your support, and especially for telling other readers about my books. If you have friends who love romance novels (and free and 99¢ books! ), please click the white FORWARD link at the bottom of this e-mail to share this newsletter with them. Fall in love with a historical romance by Lauren Royal! please add Lauren@LaurenRoyal.com to your email contact list. to get my free and 99¢ books every week! Weekly emails driving you bonkers? and I'll only email you when I release a new book!